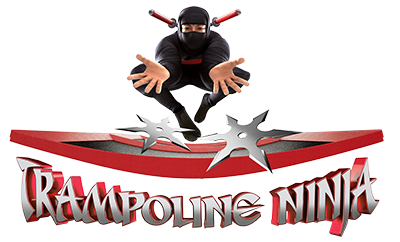 Trampoline Ninja, one-of-a-kind interactive game on trampolines. 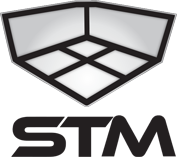 It's unlike any interactive game you've played before. 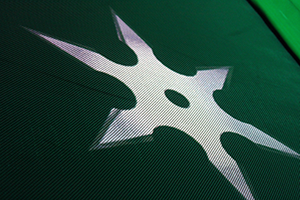 Select your skill level and smash as many ninja stars as you can in 90 seconds. 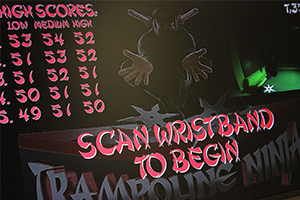 A single or multi-player game that is equipped with black lights, animation and special effects that are perfect for all ages. 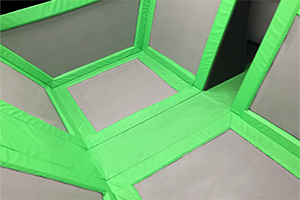 Trampoline Ninja will help you take the step of turning your trampoline park into a diversified family entertainment center.